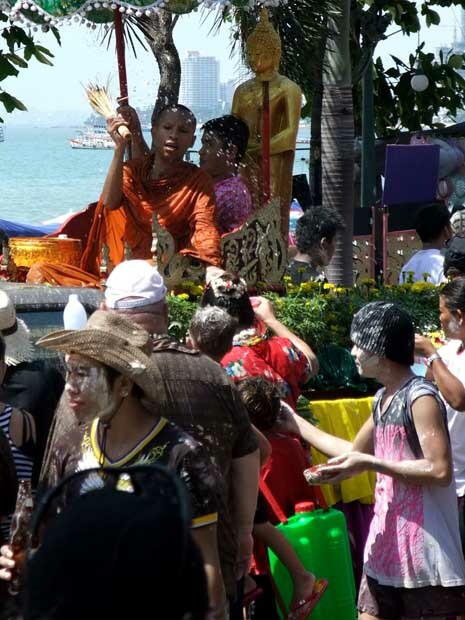 Because in April the Thai people celebrate the New Year. 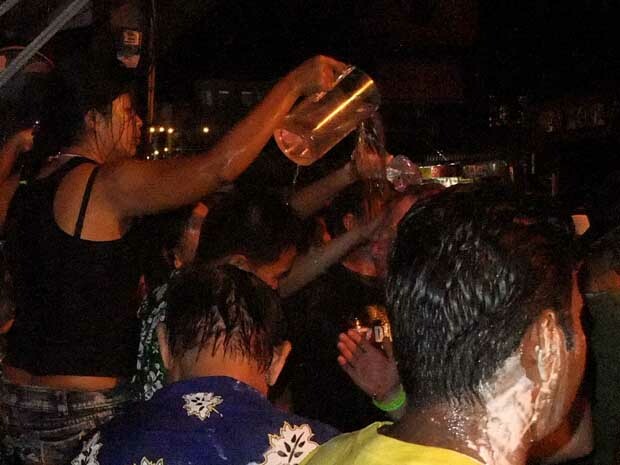 They call it “Songkran” and funnily it’s not celebrated on the same day in the whole country, but the party moves through the country over the course of several days. 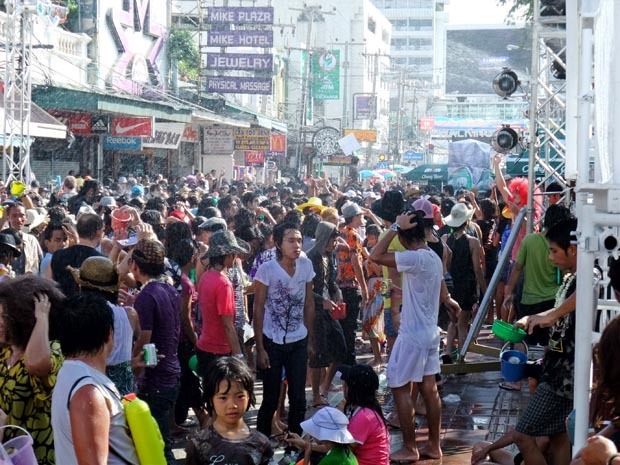 This is Pattaya’s Walking Street at April 18, 2009, a few hours before the official beginning of Songkran. 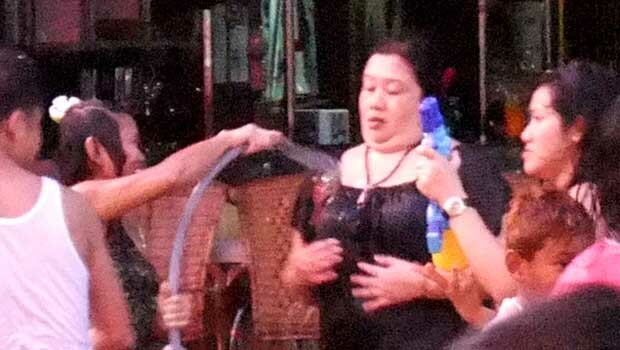 The water is not from rain, but from people partying. 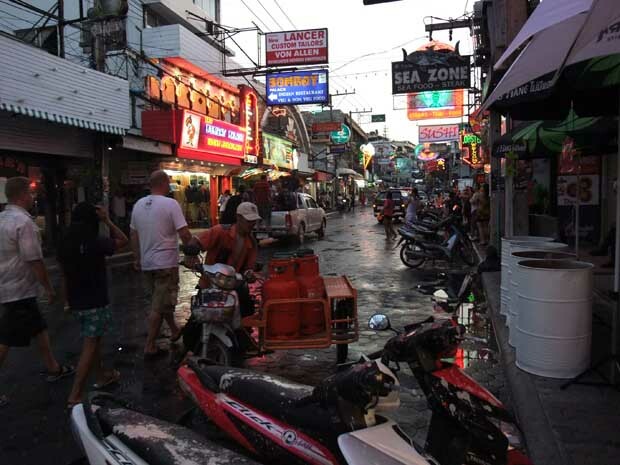 No matter whether you’re pedestrian, riding a motorbike or driving a car, you’ll always get wet. Open window in your car? Back in my room late at night. 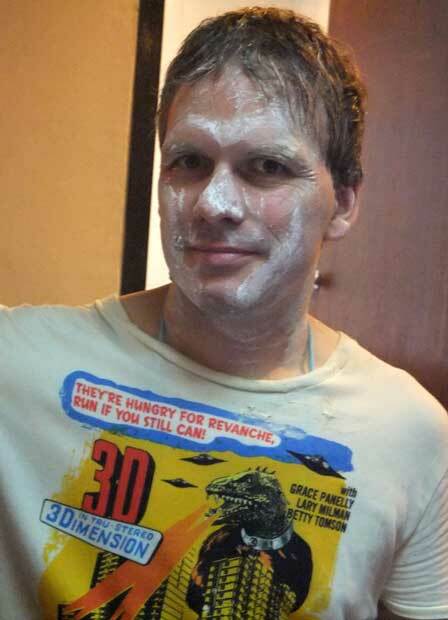 The white stuff is something people put in your face wishing you a ‘happy new year’. 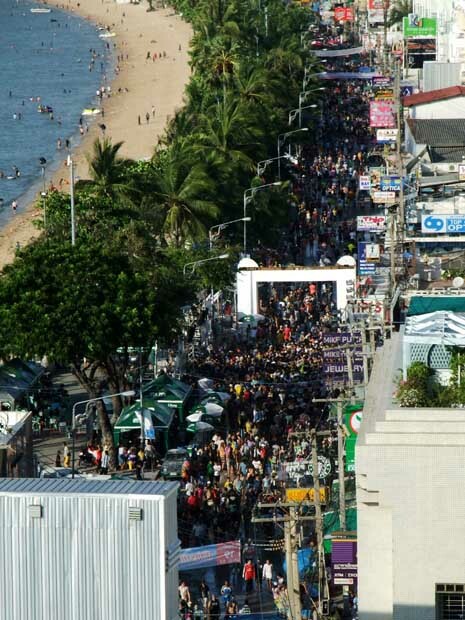 Next day, April 19, the party continues on beach road with thousands of people partying. A closer look at beach road. No cars allowed today. 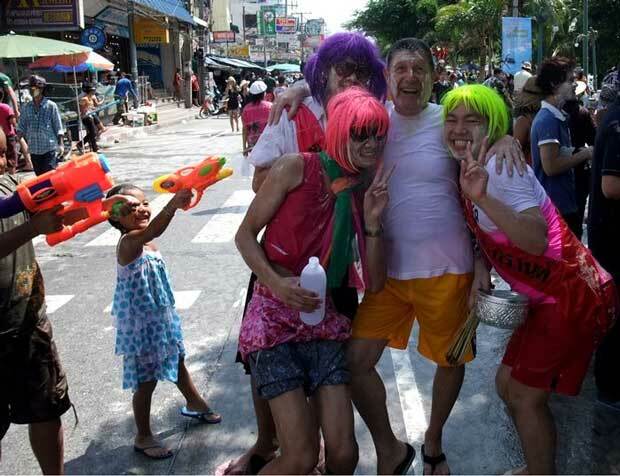 One of my German friends and 3 strange strangers under ATTACK!!! Look closely – the air is filled with water. We arrived at a save spot. 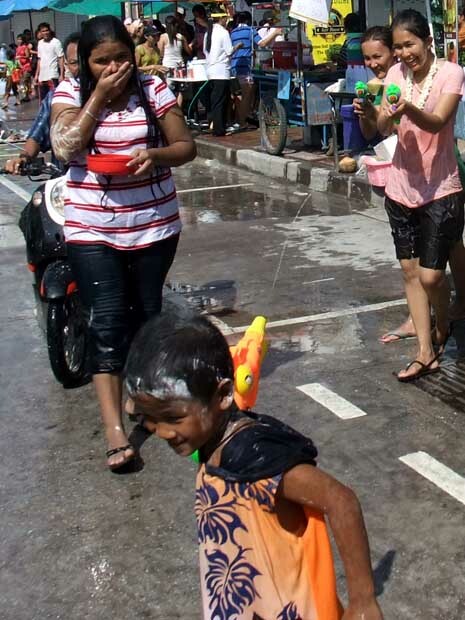 Making pictures wasn’t easy at Songkran, because I had to watch out for water coming at me (and the camera) all the time. 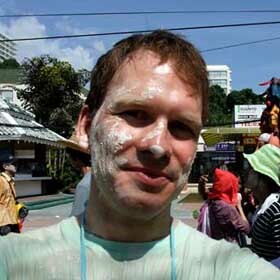 I’ll be back in Thailand in late June, July and August; I’m sure to post new pictures then. The moral of this post: if you want to travel or work from the nicest places on earth, make sure to build an internet business. It’ll give you all the freedom you long for. Next article: What’s New At Web-Templates-Online.com? Nice one Ralf… Cool photos. 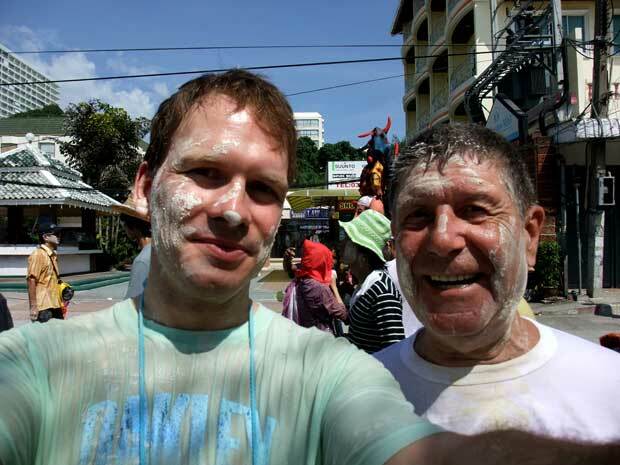 I enjoyed Songkran a lot, it was fun! But maybe it gets on your nerves if you’re exposed to it every year, like you are. I’ll update you about where I stay shortly before I come to Thailand in June, got my visa in the mail today. I hope you enjoyed your holidays there. 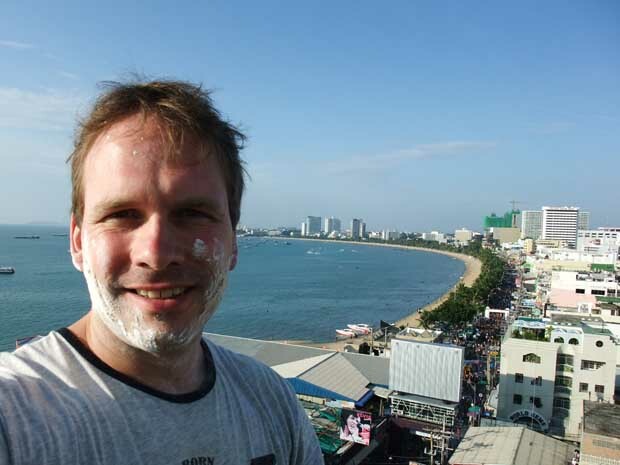 I just checked out your Pattaya web site. I’m packing right now and the plane leaves later this afternoon.